Vrai cocktails are just like a craft cocktail you’d order at the bar, but in a can. We obsess over finding the best ingredients, and most delicious flavors to make amazing drinks that are take with you-able. We use only the highest quality ingredients in our products which is why all of our drinks are certified USDA Organic. Now you can enjoy the first canned take with you-able drink that uses organic vodka. 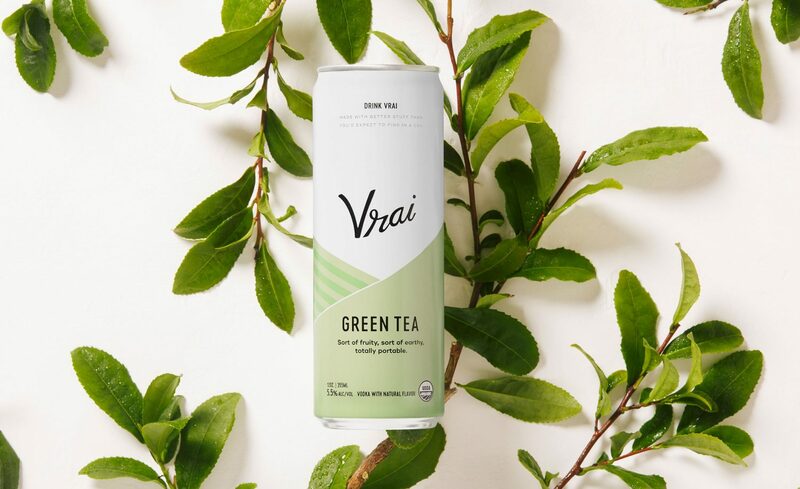 Vrai is gluten free friendly. All of our ingredients are gluten free and the equipment we use to produce our vodka drinks is washed prior to use. We settle for perfection and by that we mean there is absolutely no sodium, no high fructose corn syrup, and no artificial coloring in our vodka drinks. *Fruit and garnishes shown in our photography are serving suggestions. They are not in the actual cans. Obviously. YOU MUST BE OF LEGAL DRINKING AGE IN YOUR RESPECTIVE COUNTRY FOR ENTRY.